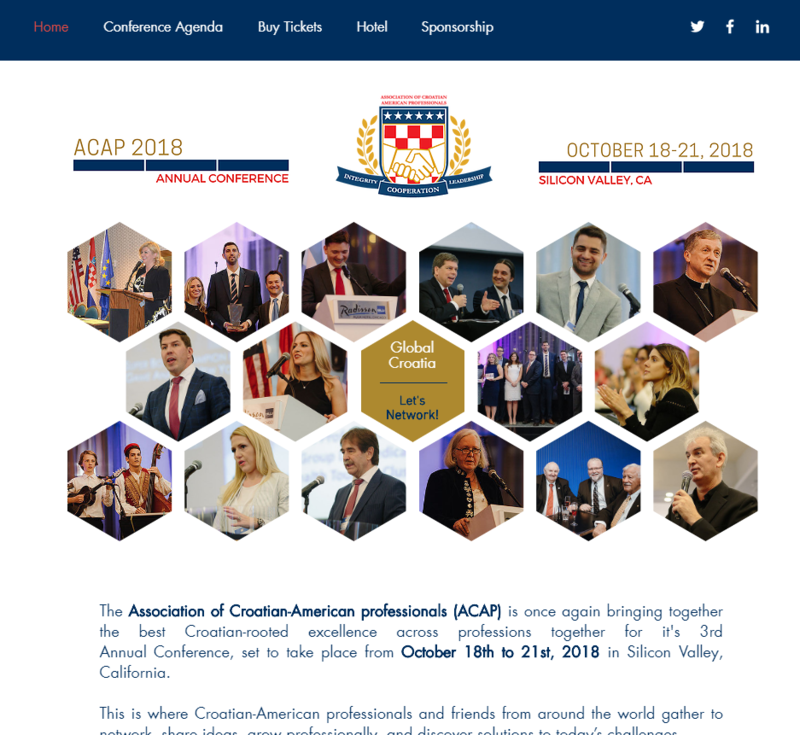 We are happy to inform ACAP members and friends that ticket sales have started for #ACAP2018. We invite you all to visit the new conference website where you can learn about conference content, ticket types, sponsorship and accommodation opportunities. Official Conference dates are Thursday, October 18th to Sunday, October 21st, 2018 and our main conference panels will take place in Campbell, just outside of San Jose, CA. With keynote speeches from Brian Krzanich (Intel), Jeff Blackard (Blackard Global), Ivan Dikic (Genetech), Mate Rimac (Rimac Automobili) and many interesting panels covering crucial topics for anything Croatian-related, this is one event you don’t want to miss. Our immersive and fun-filled conference agenda will keep you busy for the entire duration of your stay and we have many surprises and new conference additions that will surely enhance the great atmosphere we regularly craft.